One of the most commonly requested types of massage is Deep Tissue. Many people seeking relief from muscular pain and tension automatically consider asking their therapist to provide them with this kind of work. But what does the term “Deep Tissue” really mean? Deep Tissue has some very prevalent misconceptions. Often times, when people say they want a full body Deep Tissue massage what they actually mean is that they either want a full body massage with deeper, firmer pressure or they want Deep Tissue techniques applied to their trouble spots. It would be virtually impossible to receive a true Deep Tissue massage on your entire body; it would take days! This is because Deep Tissue specifically addresses the connective tissue surrounding your muscles, known as fascia. By using firm, very slow strokes, your therapist can access the deeper layers of muscle and fascia in order to break up scar tissue and adhesions (those stubborn “knots” you get). This is time-consuming, difficult work that requires the receiver to actively participate in the massage. You will likely never feel “relaxed” during actual Deep Tissue work! 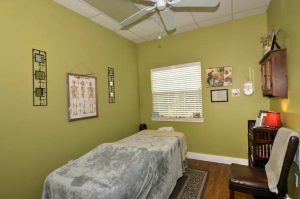 For clients looking to receive work on the rest of their body in addition to addressing specific issues, most practitioners will combine techniques of both Deep Tissue and Swedish massage. By asking your therapist for a combination (or “integration”) massage, not only will your areas of concern receive the attention it requires, but you’ll still be able to reap the benefits of receiving full body work. Ask your therapist what they suggest based on your individual needs and goals!